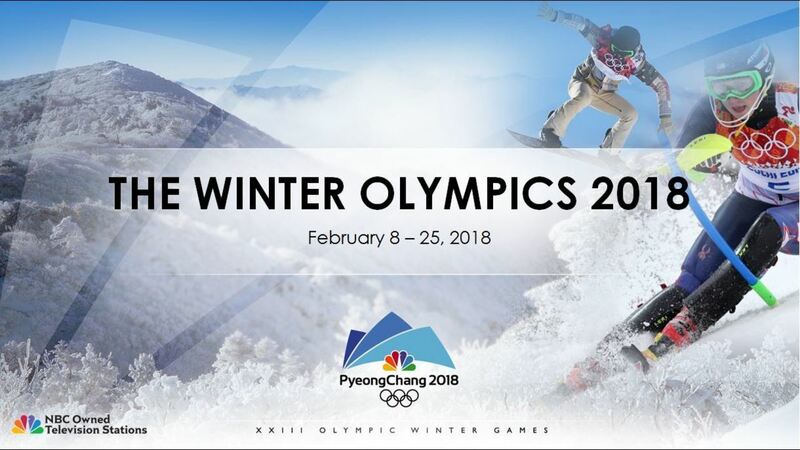 The 2018 PyeongChang Winter Olympic Games will be available through the NBC Network. Competition will kick off on Thursday, Feb. 8, a day before the Opening Ceremony on Friday, Feb. 9, and run through Sunday, Feb. 25, the day of the Closing Ceremony. Full and detailed competition schedules, TV listings and live streaming schedules are available on NBCOlympics.com. Some streaming content requires a CentraCom WatchTVEverywhere account. Click here to setup your account (Cable TV subscription required).